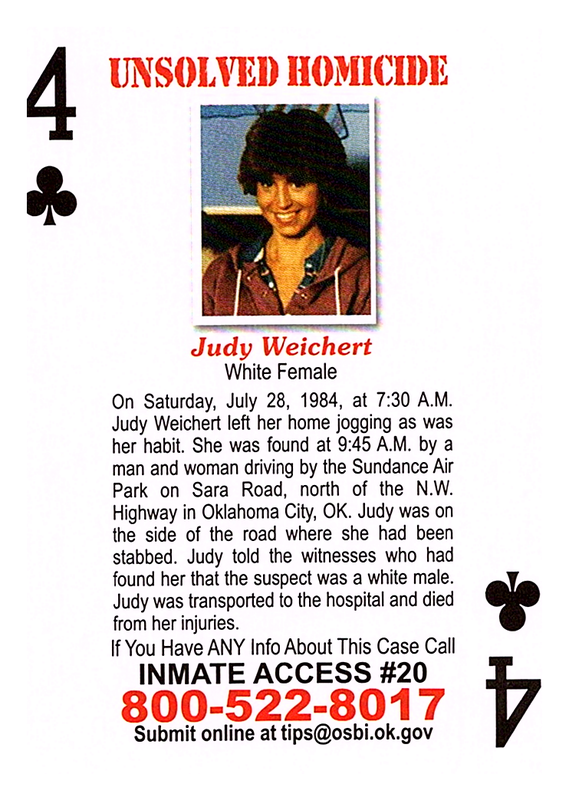 On Saturday, July 28, 1984, at 7:30 A.M. Judy Weichert left her home jogging as was her habit. She was found at 9:45 A.M. by a man and woman driving by the Sundance Air Park on Sara Road, north of the N.W. Highway in Oklahoma City, OK. Judy was on the side of the road where she had been stabbed. Judy told the witnesses who had found her that the suspect was a white male. Judy was transported to the hospital and died from her injuries.